Ooh, mysterious! What's behind it all? Shower door with soap suds running down? is it the car wash? I took the kids through one for the first time the other week, was hilarious! I need to see this view soon. The outside of my car is a little dirty but I'm going out of town tomorrow. Yeah, it's very interesting picture..
if it wasn't for the comments, I wouldn't have guessed. Took me a while...but you're in a car wash, right? Interesting! I had to read the other comments because I couldn't work out what it was - I thought it was paint on the wall! Ooo that's got me thinking...what is it? 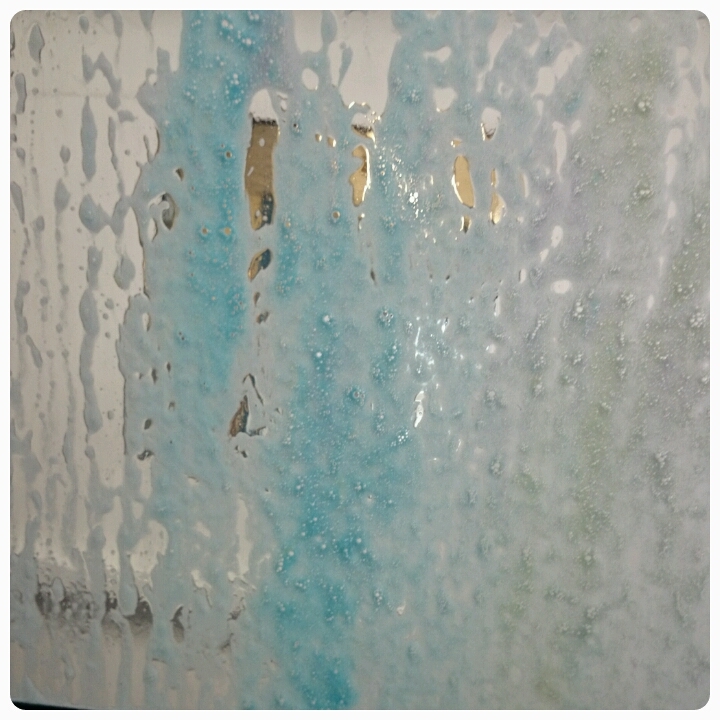 Yay - I guessed soapy water but hadn't thought of the car wash (that is something I never do!!) Sorry your youngest didn't like it. Yes, I too guessed soapy water but I'd never have thought of a car wash! I always loved a car wash as a kid - was a proper treat! I'd recognise that colourful foam anywhere, my son loves going through the carwash! my kids are a little bit scared of the car wash! My kids love going through the car wash but it's not allowed in France, so it's a treat for when we're in UK!!! I have to admit I would have had no idea what it was if I hadn't read the comments! Fantastic photo. Love this, the bubbles and the texture. Well done.